April is the month when the earth comes alive again after a long winter! Flowers bloom in brilliant colors, trees bud and blossom with pale, green leaves, and the birds and animals prepare for new life to come. Today, enjoy the warmer weather, plan a garden or flower bed, or visit a nursery or park and take in the sights and smells of spring! Copyright Maryann Cocca-Leffler, 2019, courtesy of Sterling Children’s Books. She no longer needed El’s help to water the plants on the windowsill, and she had graduated to needing a bigger desk. On the last day of school, when Mr. Diaz told everyone they could take a plant home for the summer, El was overlooked and reached over as the other kids took all the colorful flowers. By the time El got to the windowsill, the only plant left was an aster, with no blooms at all. Mr. Diaz told her that “aster means ‘star.’” El didn’t think her plant was a star, but Mr. Diaz encouraged her to wait and see. “Jo looked over at El’s sad plant, and then at her own” and offered to let El have her zinnia since she was going to be away all summer anyway. El said she’d plant them side by side, and Jo said they could be best friends. An Author’s Note on plant life cycles describes the differences between annual, perennial, biennial, and tender perennial flowers and includes fun facts about peonies, dahlias, marigolds, and foxgloves. With her signature warmth and attention to children’s feelings, Maryann Cocca-Leffler offers a sweet story about growth and how each child’s experience is as varied as garden flowers. El and Jo, as the smallest kids in the class, are natural best friends—a relationship which, in a welcome demonstration of steadfastness, remains strong even when Jo begins to grow. As summer comes, El’s focus is not on herself but on caring for the aster and zinnia and staying in touch with Jo. When Jo returns, readers will see that something more has happened over the summer too. As the two girls hug, excited to see each other again, children will notice that they are now the same height—a surprise that El and Jo also seem to share with smiles and sidelong glances at each other. The purple asters that greet the reunited pair, remind kids that growth in many forms follows the natural path for each individual. Cocca-Leffler’s fresh and cheerful gouache, colored pencil, and collage illustrations present a diverse classroom and school details that will be familiar to readers, making this a highly relatable story. Mr. Diaz shows kindness and understanding as he crouches down to talk with El about the aster and offer encouragement. A gentle, reassuring story, Growing Season would make an excellent story to pair with plant or garden lessons as well as to remind children that everyone grows and develops at their own pace for home, classroom, and library story times. Discover more about Maryann Cocca-Leffler, her books, and her art on her website. Starting to dig out the flip-flops for warmer weather and finding they’re a little too small? Don’t get rid of them! Make them into this sandal-ightful way to hang succulents and other light plants on walls or even windows! Place the flip-flop toe down on your work surface. With the hot glue gun, attach the buttons to the plastic toe straps of the flip-flops. To hang, use appropriate-weight mountable strips. Every kid is incredible! This special day, established by Camp Fire USA in 1997, gives adults an opportunity to tell the kids in their life how much they mean to them. Whether you write your special young person a letter or just sit down and have a heart-to-heart talk, your words of encouragement and appreciation will make a difference. Image copyright Mary Lundquist, 2019, text copyright Charlotte Sullivan Wild,, 2019. Courtesy of Bloomsbury Children’s Books. You know what to do! Plant your ideas and tend them carefully as they grow and develop while you experience life with its sunny days and rainy days, warm days and cold. When you grow up, you’ll be amazed at what you’ve accomplished and the fruit your ideas have borne—for yourself and the world. Charlotte Sullivan Wild inspires children to find the promise that’s waiting inside each of them as they experiment with life and discover their special talents. Her cheerful, lyrical text uses examples kids will readily recognize. The lilting rhythm will mesmerize young readers as they take the message to heart. As they go out into the world, they’ll remember and reflect when they see an apple, a butterfly, a bird, and all the promise of nature. Mary Lundquist’s tranquil and bucolic illustrations give a little girl free reign to play, strum, run, learn, and think as she grows from a curious baby and toddler to a creative and motivated teen to a mother herself who shares the abundant fruits of her labor with friends, neighbors, and others while continuing the natural cycle and her natural talents with her own children. Soft greens highlighted with vivid apple reds, rain-slicker yellows, and spring-sky blues make this a perfect book for quiet, contemplative story times. An inspiring story that adults will love sharing with the children in their life, The Amazing Idea of You makes a wonderful gift for new babies, teachers, and anyone with a young child. The book is sure to be a favorite addition to home, classroom, and public library bookshelves. Discover more about Charlotte Sullivan Wild and her books on her website. To learn more about Mary Lundquist, her books, and her art, visit her website. Looking for a unique way to measure your growth? This nature-inspired measuring stick can keep track of small and big growth spurts. You can even use it to record an idea or two as you age! For Recording Ideas: You can write favorite ideas, hobbies, or hopes on the leaves too and measure your growth that way! Glue the leaves to the stake, attaching the odd-numbered inch leaves to the left side of the stake and the even-numbered leaves to the right side of the stake. If you’re a fan of the bearded look – whether full or scruffy – today is a day to rethink your style and perhaps have a shave. If you’ve worn a beard for some time, do you remember what you looked like before your grew it? Does your family? Maybe you have kids who have never seen you without a beard! You may find you like a clean-shaven appearance, just like the dad in this story. If not, of course, you can always regrow your beard – maybe your kids can help you pick out a style. There are many to choose from in this book! A little boy is so proud of his dad. He thinks his dad is “the coolest…the tallest, the fastest, the strongest. The awesomest!” The boy has done a little research and can boil all this greatness down into one quality: his dad’s beard. In fact, he’s found that the length of a beard has a direct connection to the awesomeness factor. Knowing this, the little boy wants to grow a beard of his own. Copyright Bill Cotter, 2016, courtesy of cotterillustration.squarespace.com. The boy rushes to the phone and orders one. Every day he sits by the mailbox waiting for his kit to come in. Finally, “6 – 8 weeks later” it arrives. The boy opens the package and starts his treatment. First up, is choosing a style. There are so many to pick from! Does he want the hippie look? The wizard? Maybe, the hipster, the tycoon, or the beatnik. The Octopus may be a little too tentacle, the King Tut a little too ancient, and the Double-Beard a little too…two. But that can all be decided later. The boy slathers on the seeds, waters them, does the prescribed facial exercises, and repeats “steps 1 – 4 for 10 – 15 years.” Wait? What?! The boy is incensed. “AHHHHHH!!! Stupid Beard in a Box!…Who would have thought SCAM-O would be a dishonest company?” Dad comes on the scene just then and wonders what all the fuss is about. Bill Cotter’s unique, multi-level story revels in visual humor that will get kids laughing and thinking about issues of growing up. Through SCAM-O’s Beard-in-a-Box come-on, Cotter addresses the consumerism that tells kids and adults that outer appearances are more important than what’s inside. With gentle understanding and active participation, the boy’s father demonstrates the kinds of qualities that make a thoughtful and caring person. Cotter knows how much children look to their parents and other adults in developing their own personalities and behavior. By juxtaposing the two influences in the boy’s life, Cotter nudges young readers to recognize and reject the artificial. Cotter’s little boy, enthusiastic to be like his awesome dad, will charm children. Young readers will also have fun choosing their favorites from among the suggested beards in SCAM-O’s kit. The boy’s pet cat makes a funny sidekick, and the final scene of the loving dad and son heading out on another adventure is heartwarming. To discover more about Bill Cotter, his picture books, chapter books, and art, visit his website! A Moustache can look distinguished or madcap! 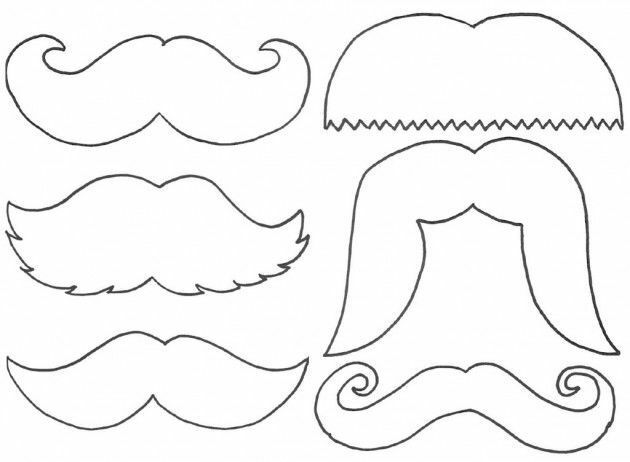 Here are some printable Marvelous Moustaches that you can use to make yourself look whacky, wild, and wonderful! Just color them, glue or tape each to a thin wooden craft stick or chop stick and hold them to your face for fun! The Week of the Young Child is an annual initiative hosted by the National Association for the Education of Young Children to celebrate learning, young children, their families, and their teachers. Daily themes focus on ways that children learn. This year those included Music Monday, Tasty Tuesday, Work Together Wednesday, Artsy Thursday, and today—Family Friday, in which people are encouraged to share their family stories. 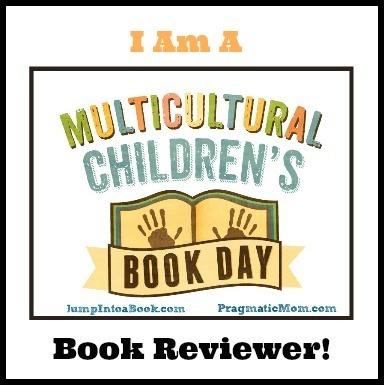 Today’s book also takes a look at a common childhood topic through which kids learn about themselves and others. Maybe if he just willed himself to grow, he would, Herb thought. He stressed and strained until he was red in the face, but he remained as short as ever. Muriel knew Herb was having a hard time, so she made him a special treat of tea and doughnuts. When he approached, Muriel immediately recognized a difference. Herb was tall top and bottom. Both Herb and Muriel loved the new look—the high wedge shoes and top hat looked amazing! But standing and walking proved to be perilous. Ged Adamson’s wit and whimsy go a long way in assuaging childhood doubts and worries in his funny book. The issue of growth is a common one as siblings, friends, and classmates often compare themselves and watch as those around them grow taller or they themselves begin to outpace the rest. The uncertainty of being different can be troubling and set up unnecessary anxiety. Adamson’s I Want to Grow offers kids reassurance that nature will take its course while also making them laugh at Herb’s attempts to speed the process. Muriel’s empathy and kindness toward Herb is another wonderful life lesson for readers navigating the quirks and changes of childhood. Adamson’s distinctive illustrations combine vibrant colors, sketched-in details, and sweet, round-eyed characters to enchant kids and boost both the humor and sweetness factor of this heartening story. I Want to Grow is a great book to share with kids who may be feeling unsure about their height—or any such issue. Check out more about Ged Adamson, his books, and his art on his website! With this easy craft for spring and summer that combines creativity, recycled materials, a little science, and an opportunity to watch your efforts grow, you can turn a window pane into a little garden.